Jesus has always invited and challenged his disciples to follow him in the way of redemptive suffering, the way of the cross. This, according to Joel Green, is the very heart of Mark's gospel. It is also the heart of discipleship today. 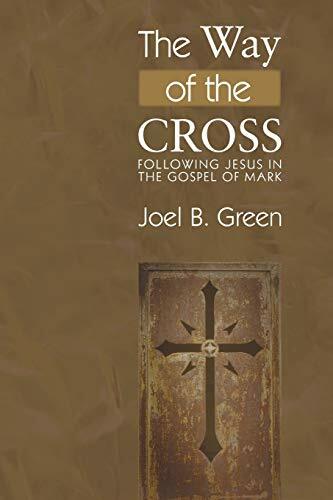 In six engaging chapters, Green shows how Mark unfolds the drama of Jesus's mission to suffer for others; how this mission was not initially understood by the first disciples, and how all this can transform our own understanding of the call to follow. Each chapter deepens our sense of the integrity of Mark and challenges us to follow Jesus in our own practice of discipleship and experience with suffering today. The Way of the Cross is for individuals and groups who are serious about Bible study and about the relevance of such study to their lives. Each chapter concludes with a set of questions for reflection and discussion. JOEL B. GREEN is Professor of New Testament Interpretation and Associate Dean for the Center for Advanced Theological Studies at Fuller Theological Seminary. His publications include Jesus of Nazareth: Lord and Christ and The Gospel according to Mark: Introduction and Commentary for the Asbury Bible Commentary. He has also authored numerous other books and articles both scholarly and popular.